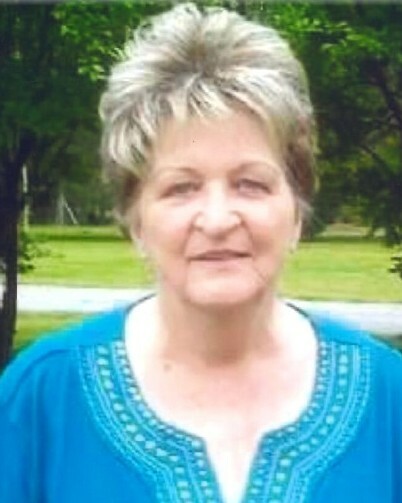 Shannen Grubb, age 76, passed away peacefully on April 10th 2019 due to an ongoing battle with congestive heart failure and kidney disease. She was born on November 27th 1942 in Athens Tennessee to Tomie and Mary Sutton. Shannen married Bobby Grubb on November 24th 1958 then began to raise a family she has always wanted. Shannen took pride in her job as a machine operator at Martindale Electric Company, where she retired from in 2003 and moved to North Carolina. Shannen was a dedicated mother and she took pride in raising a close knit family, in which we are extremely grateful. She enjoyed spending time with her children and grandchildren, cooking, looking at recipes on Facebook, watching soap operas and playing with her dogs Lacey, Cagney and Odie. Shannen loved to reminisce and tell stories to her grandchildren. Shannen loved reading her bible and teaching the word of God to anyone that would listen, and even those who didn’t. Shannen, Beloved wife of Bobby Grubb. An extraordinary mother to Vanessa Mullins (Glenn), Sandra Roberts (Jonathan), Mary Berry (David) and Gene Grubb. A cherished nana of Crystal Grubb, Caressa Goss (Phillip), Brianna Bonds and Tonya Wilkins (Justin). A great grandmother to Taylor Griffin; Ronald, Madison and Alana Fine and Ashton Goss A great great grandmother to April Griffin. Shannen was preceded in death by her parents, Tomie and Mary Sutton and her sister Isabell Sutton. Although the family is grieving at the loss of the matriarch of their family, Shannen was prepared to meet Jesus and be reunited with her family and friends she has been missing for so long. Shannen was ready to be in a new body, in which she would no longer have any pain. “Mom may have not been able to walk yesterday, but she is running today”. She may be gone, but she will forever watch over her family and guide us to the right decisions from heaven. A time of visitation will be held from 2-4 pm Sunday, April 14, 2019 at Bright Funeral Home 405 S. Main St. Wake Forest, NC. A funeral service will be held at 11 am, in the Chapel of Bright Funeral Home on Monday, April 15, 2019.